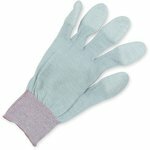 ESD gloves for blocking unwanted static electricity. 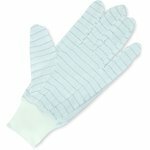 Non-allergenic antistatic gloves, size M. Anti-slip PU coating, colour coded cuffs. 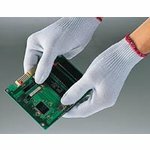 Anti-static gloves with polyurethane fingertip coating. 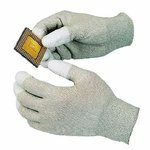 Ideal for microelectronic and installation work. 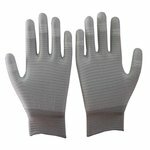 Size: M.
Anti-static gloves with polyurethane fingertip coating. Ideal for microelectronic and installation work. Size: L.